In our commitment to help you look your best when wearing makeup, we gathered and reviewed 5 of the top best powders made for dry skin. After hours of intensive research, we came up with what we think is the best powder for dry skin based on its ingredients, its ability to prevent makeup from looking flaky, and its affordability. 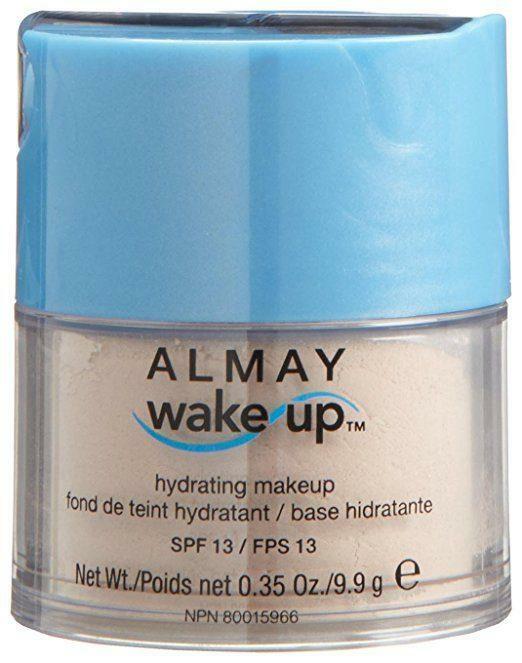 The Wake Up Hydrating Makeup by Almay is another one that contains SPF. It delivers instant hydration with its encapsulated water and moisturizes with its unique mix of ingredients. For a product enriched with Vitamin C, go for L’Oreal’s Translucide Naturally Luminous Loose Powder. It promises to give dull and dry skin a natural, healthy-looking glow. Airbrushed perfection that comes in a jar is what the Mineral Veil by bareMinerals offers. Infused with light reflectors, it gives an ethereal, pearly glow for that photo-fabulous look. Smashbox’s Halo Hydrating Perfecting Powder doubles as an anti-aging product. It also comes with a built-in shaver, which allows for an easy and a hassle-free application. The Smoothers Pressed Powder by Covergirl is a powder that has SPF. It also has light-reflecting ingredients to minimize the appearance of imperfections and fine lines. From translucent to natural coverage, discover the best powders for dry skin our beauty editors swear by. This is the best powder for dry skin because of its Green Tea, Aloe Vera, and Cucumber extract contents. These ingredients help smoothen out and rejuvenate dull, dry and tired skin. Another great thing is it provides instant cooling hydration. Because this powder contains encapsulated water, you’ll literally feel like splashing water on your face with every application. It also acts as a great moisturizer. With its exclusive complex of ingredients, it works twice as hard to give you skin that feels soft and supple throughout wear. What we really like is that this product contains SPF. With SPF 13, you’ll look your best while still being protected from the sun’s harmful UVA and UVB rays. 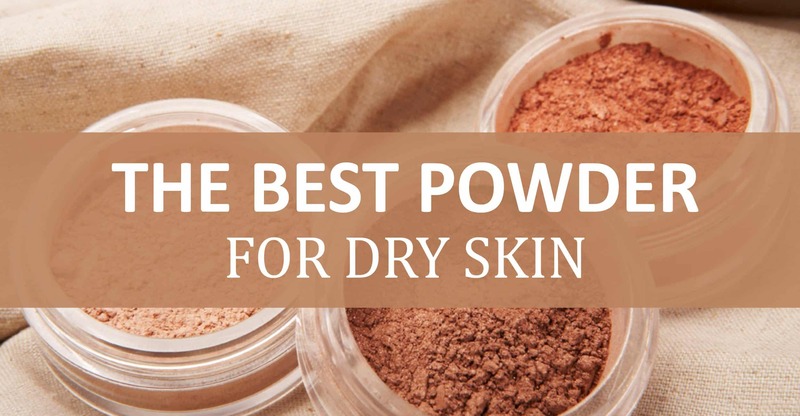 It’s a great powder for dry skin because it gives you an energized, well-rested look. It also feels like you’re wearing nothing on your skin, perfect for concealing minor skin imperfections. This is the best powder for dry skin because it helps you achieve a healthy glow. It does not leave skin looking cakey, flat and dull which is perfect for that flawless and non-flaky look. It is enriched with the antioxidant power of Vitamin C. Benefits of the vitamin on the skin include younger-looking skin, lower likelihood of skin dryness, and reduced appearance of wrinkles. This powder also boasts of its long-lasting formula and is absolutely lightweight. It gives off a natural glow with a translucent coverage and also looks good when worn on its own. A powder that doesn’t make skin breakouts, this product also works great for those with sensitive skin. It provides a nice finish and doesn’t give you a “sparkly” look unlike the others. What makes this a great product for dry skin is that it doesn’t settle into fine lines. This powder can also be used on the body or wherever you want to feel luminous. This product gives off a subtle, brightening dewy finish. It instantly melts into the skin for a smoother, more radiant-looking skin. As this product comes in the “Illuminating” shade, it promises to give that ethereal and pearly glow. It contains light reflectors to help achieve that photo-fabulous and “photoshopped” look. Because it provides a flawless finishing touch, this product is a must in any makeup routine. It reduces the appearance of fine lines and pores and works perfectly for all skin types and tones. Free of binders and preservatives, you are ensured that no harmful ingredient enters your skin. Absolutely translucent, it provides a feather-light finish so all you see is beautiful skin. This powder can also be worn on its own. Aside from dry skin, this product also works great on oily skin because it effectively absorbs excess oil without drying the skin out. It will instantly make you healthier-looking and more “alive” once you apply it on. A great makeup setter, it makes makeup last for up to 12 hours when used properly. Smashbox’s patented hydration system makes this the powder highly effective for dry skin. It revitalizes skin for a more radiant and brighter complexion that lasts the whole day. This product is also the first anti-aging powder built-in with the science of skincare. It sounds ambitious, but it promises to reduce fine lines and wrinkles in just 10 minutes. It is able to do all these because of its advanced formulation clinically-proven to fight aging. This formula includes peptides, 11 amino acids, 48 minerals and pure gold. As proof, clinical studies show that there was a decrease of wrinkles in the eye area by 33% after 10 minutes; and after 6 weeks, a whopping 67% overall reduction. For people who require only light coverage, this product is perfect for you. It also contains no skin irritants, making it perfect even for those with sensitive skin. What makes this product stand out is its innovative built-in shaver. We think this is brilliant because you get to control the amount you need for the look you’re aiming for- minus the mess. The chamomile extracts this item contains make this product stand out. Chamomile promotes healthy and smooth skin due to its antibacterial and anti-inflammatory properties. This product is designed with AquaCurrent Science. A technology unique to them, it helps create a natural, perfectly finished look that lasts. What makes this powder special is that it is packed with light-reflecting ingredients. They help minimize the appearance of imperfections, which results to a smooth, beautiful complexion. Dermatologically-tested, this pressed powder is hypoallergenic and is oil-free. It is non-comedogenic and even does a great job in covering enlarged pores sans foundation. This powder for dry skin also contains SPF. With SPF 15, you already get protection from the sun while still rocking that flawless, dewy look with confidence. This powder basically comes in 5 different shades. We think that this is a good thing because you can enjoy its benefits whatever your skin tone may be. It provides good coverage, goes a long way, and is perfect for those who don’t wear a lot of makeup but still want that fresh look. Powders can be one of the most confusing items in your makeup kit. But, don’t fret as it’s not as hard as you think. Powders are basically divided into two types, but they both serve the same purpose: to absorb oil and to even out your skin. Their difference lies in the amount of coverage you want, and of course, your skin type. ​A loose powder is advised if you wear a full face of makeup and need things to stay in place. But for easy and quick (and unmessy) retouches, then pressed powders are your best bet. Using pressed powders on oily skin might make them look cakey, while wrinkles and flakes might appear when loose powders are used on dry skin. So, which one’s right for you? ​To be honest, there’s really no answer. A lot of factors should be considered, and in reality, what’s best for you might change from time to time. Let’s start with loose powders. Usually applied after foundation, they are finer so they tend to settle in wrinkles and fine lines more as compared to pressed powders. They also contain less oil than pressed powders, so they’re a must-have for those with oily skin. A Kabuki brush can be used for a sheer look, or for more coverage, a wrapped powder puff. Pressed powders, on the other hand, are more portable. They have more oils than loose powders which make them easier to use for hiding blemishes and, thus, achieving a more evened-out skin tone. Regardless of your skin type, it’s best if you can invest in both types. It’s also a good idea to invest in high-quality tools and throw away whatever comes with your powder—believe us, it makes a big difference. We understand how frustrating it is to apply makeup when you have dry skin. No matter how much time and effort you put into it, it’ll still look dry and flaky at the end of the day. We’ve chosen the Wake Up Hydrating Makeup, Ivory by Almay as the best powder for dry skin. It contains green tea, Aloe Vera and cucumber extracts that smoothen and rejuvenate the skin. This product contains encapsulated water to deliver hydration to dry, flaky skin. The best part is that it also has SPF, so while you’re rocking your look, you’re still protected from the sun. Unfortunately, this powder does come with a high price tag. But it doesn’t seem to be a big deal because people are still willing to spend their money considering how effective it is. You should really try this best powder for dry skin out. This might be the only thing that’s missing from your makeup kit, and if it worked for others, it might as well work for you.